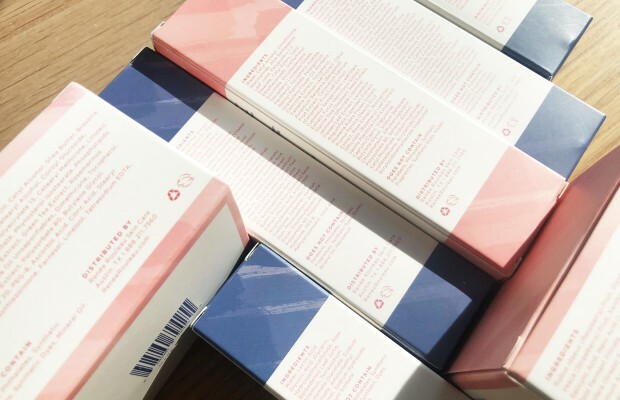 Now more than ever, consumers are educating themselves about skincare ingredient percentages so they can make informed decisions about the safety and efficacy of their products. Ingredient lists are often one of the first things people look at, but I’m here to tell you, they can be very confusing and misleading. What is the “First Five” Rule? You may or may not have heard of the First Five Rule. This rule claims that because the first five ingredients listed on a label have the highest percentages, they are ultimately what determines the true performance of a product. Those who follow this rule claim that any ingredients listed below the first five won’t have a meaningful effect on the skin, because they are included at too low a percentage. While it’s true that ingredients are generally listed in order of highest to lowest concentration, skin care formulations are incredibly nuanced. It’s almost impossible to tell how well an ingredient will perform based where it falls on the ingredient label. In this post, I hope to give you a new perspective and to teach you that skin care formulations are never black and white as we’d like to believe. 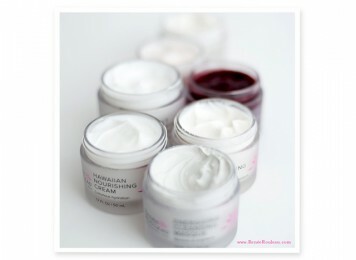 Hopefully, this information will empower you to be a smarter skincare consumer! According to INCI, a skincare brand is required to print the ingredients on the packaging in the order of highest to lowest concentration. However, once the list gets to ingredients that are included at a concentration of 1% or less, they no longer have to be in order. The first ingredient is usually water or aloe (which is made up of mostly water). These often make up 70%–95% of the product, which is perfectly acceptable. After that, the next four ingredients are typically included at concentrations between 3%–5%. Listed below the first five ingredients, you can still find many performance-based actives along with thickeners, preservatives, fillers and everything else that makes up a product. In short, an ingredient doesn’t need to be listed in the top five to have a positive impact on your skin. This doesn’t mean the First Five Rule never applies, but basing assumptions on an INCI list is difficult under the best of circumstances. There are many exceptions to the First Five Rule. Many antioxidants can be quite potent in very small doses. When it comes to antioxidants, it’s particularly important to understand the complexity of our skin cells’ protection needs. Using just one type of antioxidant at a high percentage won’t adequately protect your skin against the many forms of ROS and RNS (free radicals) that contribute to premature cell aging. For comprehensive protection, your skin needs a variety of antioxidants. This could easily push some of these ingredients down past the top five, which certainly doesn’t mean that you aren’t benefitting. Two good examples are lipochroman-6 and astaxanthin. These antioxidants should only be used in concentrations of a fraction of a percentage, which could put them pretty low on the ingredient list. So if you’re only paying attention to the first five ingredients, you’re completely overlooking the potency of these actives. 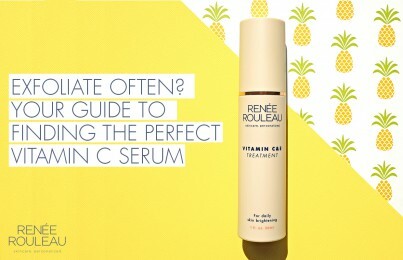 If you’ve ever used my Firm + Repair Overnight Serum, you have seen how the color is bright orange. This comes from the astaxanthin, which is listed as the ninth ingredient on the label. Only a small amount is used to give off that color, yet it delivers a powerful dose of antioxidants to the skin. In fact, astaxanthin gives up to 10 times stronger free radical protection than beta carotene and 500 times more than vitamin E. It does its job at clinically tested levels of just 0.035%! There are so many different kinds of Vitamin C, all of which have a different recommended use level depending on which form they are in. This can include acids, alcohols, esters or liposomal forms. The range can be very wide, starting at a fraction of a percent and going up to 20%. Here are five things to look for in a Vitamin C formula. Like Vitamin C, the recommended use level for Vitamin A will vary greatly depending on whether it’s in the form of an acid, alcohol, ester or liposome (for a time-released delivery). This means percentages will vary a lot. For example, prescription retinoids are usually at most 0.1% but are known to be much more potent than over-the-counter retinol, which typically includes a much higher percentage of Vitamin A. Each form has benefits and downsides, depending on the formula. When I created Advanced Resurfacing Serum, I wanted it to be a top five ingredient because I believe retinol should be used in a high percentage. Here are four things to look for in a retinol product. Glycerin is a powerful humectant that, based on the percentage used, can drastically affect a product. A high percentage (listed in the top five) would make a product sticky and would perform best in a serum, whereas a lower percentage that would fall further down on the list would be a nice addition in a toner or essence to maintain a lighter texture. Some peptides have a very set recommended use level that has been determined by clinical testing. For example, most matrixyl peptides have a recommended use level of 2%-3%, since most studies have been performed at this level. Other peptides might have a whole range of recommended use levels. This range can be anywhere from 0.5%–10%, depending on the type of peptide. Total Eye Repair Creme uses 2% of palmitoyl oligopeptide to enhance firmness and give improved moisture retention. Unlike a lot of other active ingredients, niacinamide can have different effects on the skin depending on the percentage at which it’s included in a formula. For example, 0.5% can give skin a great energy boost; 2% can improve the skin’s barrier function, boost collagen and help with brightening. A study by the Department of Dermatology at Wake Forest University also showed that at 2%, niacinamide can help control the skin’s oil production; at 4%-5%, niacinamide has been clinically proven to have significant brightening effects, even compared to a popular skin bleach called hydroquinone. Exfoliation acids can be effective in very small percentages depending on the product’s pH, but some formulas call for a higher percentage of acids more like what you’d find in a professional chemical peel. But even then, if the manufacturer doesn’t control the pH in the product, that high of a percentage becomes useless. Plant stem cells are usually delivered via a liposomal delivery system or through solvents, such as alcohol. This means the same material can have two very different recommended use levels. A solvent can be used in a very small percentage while a liposomal delivery system can require a higher percentage—but both work the same. Synthetic perfumes are usually included at a concentration of less than 1%, which puts them pretty low on the ingredient list. And yet, they are well-known for causing skin sensitivity, disrupting the skin’s moisture barrier and even causing allergic reactions. This goes to show that an ingredient doesn’t have to be high on the list to have an effect on your skin. Preservatives are only used at concentrations of a few tenths of a percent so this brings it almost to the end of the list, but you certainly wouldn’t want to use a product without them if you want your products to be safe. A low percentage is all that is needed to work. The bottom line is that the percentage at which an ingredient is used in a formula depends on so many factors. For you, the skin care consumer, it’s important not to succumb to the instinct that more is always better. Hopefully, this information will empower you to make better purchasing choices and teach you not to rule out a great product because a product appears to have a low percentage. Casting judgment on a product just based on the first five ingredients is truly an inaccurate way of evaluating its content and performance. What is the intent of this product? 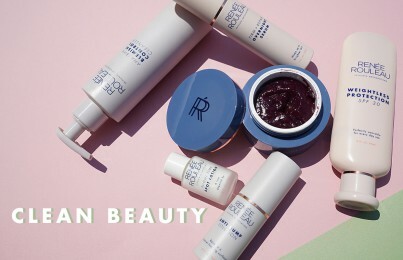 What skin care problem am I looking to solve with this product? What other ingredients aside from the top five am I trying to incorporate into the formula for combined benefits? What percentages of ingredients am I using in the formula? For me as a skincare formulator, this is a very exciting time in which new technology is becoming available at an incredible rate. We are also dealing with serious science where constant interaction between product chemistry and the skin’s biochemistry is occurring. It is in our best interest to gain a thorough understanding of the powerful tools product manufacturers are putting in our hands. Then, and only then, will we be able to truly appreciate and apply the vast possibilities in the treatment of skin’s imperfections through innovative product development. My best advice I can give you is to shop with brands that are transparent and put a premium on integrity. If a brand cares about these values, chances are they’ll put a lot of effort into ensuring their products are formulated well. Unfortunately, anyone can tell you anything and the only way you can truly test the efficacy of a product’s formulation is to take it to a lab. Read more about understanding ingredient labels. And you might enjoy learning about how I’m unsure of how the main ingredient works in our #1 best-selling product. What are the percentages of niacinamide in Sheer Moisture and Skin Correcting serum? Thank you for your interest in our products! Our company does not disclose the percentages of ingredients in all of our products. Our ingredient concentrations are intentionally selected to work in harmony with one another. In developing our formulations, we create proprietary ingredient blends to deliver optimal efficacy and results and thoroughly test each product for irritation on all skin types and also test them in conjunction with our other products to ensure safety and synergies.